On the eve of Arsenal’s crunch Premier League encounter against Liverpool, Unai Emery has explained how his formidable set-up will approach Jurgen Klopp’s resilient Reds at the Emirates. The Merseysiders are unbeaten domestically thus far during the 2018-19 campaign and could climb to the summit of the table, at least momentarily, ahead of Manchester City if they defeat the Gunners. 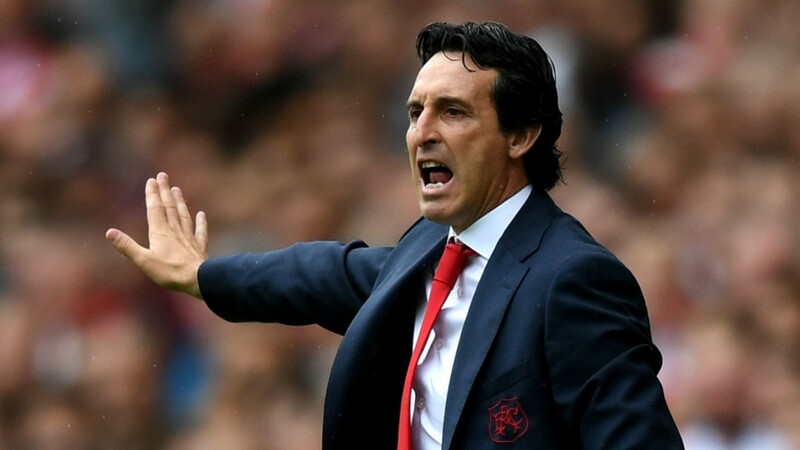 Emery, however, has transformed the north-Londoners into a formidable collective, and has shepherded the club to 12 wins in 13 outings in all competitions, and the innovative Spaniard is prepared to ask substantial questions of his German adversary’s pragmatic strategy. “We need to stop them doing their jobs in the 90 minutes. They have individual players and also are a collective. “They are developing moves with the goalkeeper because they build up through Alisson, the centre-backs and the midfield players. “They can progress up the pitch with a lot of quality starting with Alisson. “We need a big match in the individual duels against them and also tactically we need to be together and play with our identity and style that we need to impose on them. “It’s difficult for 90 minutes but in moments we need to impose our ideas in a duel of 90 minutes. During his illustrious managerial stint at Sevilla FC, Emery scalped Klopp’s men 3-1 in the 2016 Europa League final, so it’s naturally assumed that the 46-year-old would possess a psychological edge over his opposite number. Although Emery is rightfully aware that Klopp has also drastically developed his squad since their last competitive meeting and has highlighted Liverpool as a prime example for his side to emulate. “This team has developed a lot with Klopp and their new signings in the last year,” he proceeded. “The team three seasons ago, they were playing in the final in the Europa League. Last season they played in the final of the Champions League. “For us it is a good example for how you can improve. We have a lot of respect for them also. Share the post "Unai Emery explains how Arsenal will approach Jurgen Klopp’s Liverpool"